A big time person at a major publishing house started talking to an author friend I happened to be talking to (and I knew she was big time because RWA has these nifty name badges everyone wears, with big bold titles like, "EXECUTIVE SUCH-AND-SUCH at GIGANTIC PUBLISHING HOUSE EVERYONE HAS HEARD OF", that way people like me know who to make way for). After my author friend kindly introduced me, I began looking for the moment I could shuffle quietly off without making it seem like I was leaving because she was there. That's when Big Time Publishing Person asked me if I had a book coming out--[aside] for some reason, I'm still in this strange place, mentally, that causes me to sound like I'm apologizing when I say I have a book coming out! I do NOT know how to beat this apologetic demon out of myself, but I'm going to do it, by gum! [end aside]-- after an embarrassed glance up at Big Time Publishing Executive, I told her I did: a Young Adult novel coming out in April. And lo and behold, she didn't gaze down at me as if I were a speck of dirt who dared to call myself a published author. She was gracious and benevolent, as Big Time Publishing Executives are wont to be. I loosened right up, and we chit chatted about random things like two normal people who have a common interest. Who knew?! It was all HIGHLY dreamy. Anyway, come see who I got to meet! habits. The motto of the night became, Happy Wife, Happy Life! talking books and publishing and feeling like I made a true friend. to have a picture with this author, and I am so happy I met her! dearly! It was a beautiful thing to meet her in person. a rare, amazing, genuine person who I am lucky to know. I had so much fun, and met tons of other authors and online friends, including Tiffany's boyfriend, Andrew Shaffer (author of FIFTY SHAMES OF EARL GREY). Andrew is hilarious, which I already knew from his book and his Twitter feeds (yes, plural. He has two Twitter accounts because one could not contain his endless supply of 140-character wit). And I can't wrap this up without mentioning having met the lovely Natalie Bahm, Veronica Scott, Roni Loren, and so many people I'm forgetting to name, I'm sure! I loved this night so much, and I hope RWA returns to Southern California again soon. This weekend I'll be heading to the Society of Book Writers and Illustrator's summer conference, and this time I'm attending the entire event, which means I'll be sure to do something ridiculous or embarrassing in front of someone influential and important! I'll be back with an update next week! 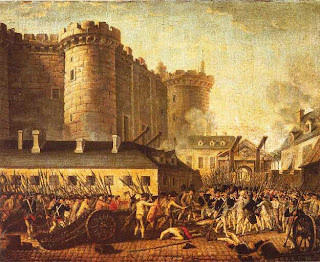 Happy Bastille Day, and Contest WINNERS!!! 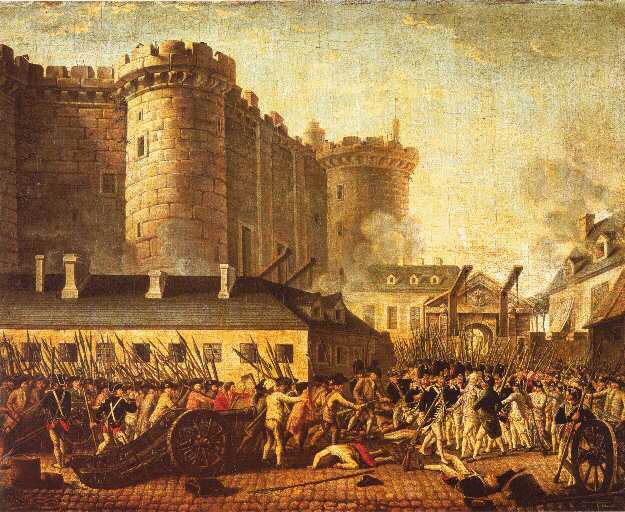 Having read varying accounts of this event and other instances leading up to the French Revolution, I have to admit, the day brings me mixed feelings. I wonder if I'm a bit of a royalist at heart-- or at least, I think I have sympathy for the royal family's tragic end. Le sad sigh. As promised, today I am also announcing contest winners for my epic giveaway celebrating the sale of my time travel young adult novel, TWISTS OF FATE, coincidentally set in part during the French Revolution. So, without further ado, the winners!! !